With a shrinking medical professional population, telemedicine eliminates geographical borders and links quality care providers to each other and patients. Whether or not you are one of the many family physicians hesitant to adopt telemedicine, there’s no denying that it’s making its mark in the healthcare industry. According to BizTechMagazine, the use of audio and video to treat patients is on the rise and predicted to be a $32.6 billion industry by 2018. So why are more docs embracing virtual healthcare? Below are just a few of its perks. It helps facilitate doctor-to-doctor care. With a bevy of specialized video conferencing solutions available and other technologies like teleradiology, family docs are able to consult with specialists around the world to provide the highest level of care possible for their patients. It enhances the quality of care. 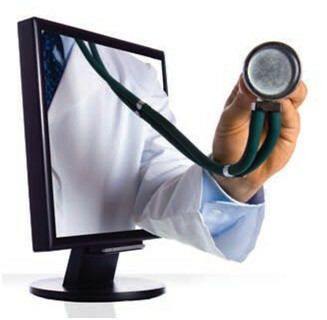 Telemedicine provides greater and faster access to your patient’s medical history. In doing so, it can reduce the risk of misdiagnosis, negative drug interactions and poor response to treatment. It monetizes your time. By reducing the need to travel to see patients, family physicians are not only saving money, they’re saving time. That time can now be spent in-office, which means your patients will see more availability when scheduling appointments. While telemedicine will never replace the need for hands-on care and emergency room visits, it will increase the pace of care and access to professional medical communities. By adopting telemedicine in your practice, you are not only giving yourself an edge, but also preparing yourself for the future of medical treatment.